These 100% rag, acid - free content boards are an industry standard. The plate surface is unsurpassed for detail work with technical pens, airbrush and marker. 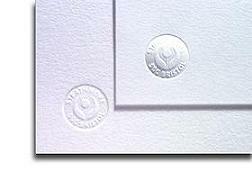 The vellum surface is ideal for light washers, acrylics, airbrush and process printing. Size 23 x 29. Sold in 25 sheet packages. These 100% rag, acid - free Strathmore 500 series bristol content boards are an industry standard. The plate surface is unsurpassed for detail work with technical pens, airbrush and marker. The vellum surface is ideal for light washers, acrylics, airbrush and process printing. Size 23 x 29. Sold in package quantity only.